Charles G. Finney (1792-1875) was the father of "Revivalism" in America, the most prominent preacher of the Second Great Awakening, and in many ways the father of modern Evangelicalism in America. He is often considered the predecessor of American Evangelists/Revivalists like D.L. Moody, Billy Sunday and Billy Graham. He was a successful lawyer who became a Christian as a young man and decided to use his considerable powers of persuasion to begin preaching, in spite of having little theological training. If you've ever heard a preacher give an impassioned, emotionally manipulative sermon that ends with an irresistible plea to come forward and somehow make a decision to become a Christian, you've witnessed the lasting impact of Charles Finney. If you've ever felt that the church was ineffective in building God's Kingdom and what we really need is a big 'ole revival, you've been influenced by Finney. "assumes that the atonement was a literal payment of a debt, which we have seen does not consist with the nature of the atonement ... It is true, that the atonement, of itself, does not secure the salvation of any one" -Charles G. Finney (Systematic Theology p.217). If you've ever felt worn out and frustrated by the "do more, try harder" version of Christianity, this shocking news about Finney's beliefs might help you to understand what has gone wrong in much of American Evangelicalism. The following articles and videos are from various writers, theologians and pastors who all agree that Charles G. Finney had a number of very questionable beliefs, and it would do the church much good to carefully consider how Finney's ideas contrast with Holy Scripture. Because she has established herself as solid and dependable (partly through very good and consistent marketing), she is rarely questioned by Evangelicals, who believe a brand name Christian author must be speaking the truth. The Teachings of Beth Moore and Living Proof Ministries on Issues, Etc. Mike Bickle is a passionate and convincing speaker who has built a world-wide ministry based on something that seems like a great idea: 24 hour a day prayer and worship. Underneath this simple idea of praying and worshipping are a number of unorthodox, strange and unbiblical teachings. His entire ministry is built upon convincing stories of miraculous prophetic words that God supposedly gave men like Bob Jones and Paul Cain (two very influential but discredited false prophets). Some are now claiming that IHOP has become a full-fledged cult that separates young people from their families and creates zombie-like adherents. If you Google "IHOP cult" you will find many blogs written by former IHOP students and staff that are now warning others about the troubling experiences they had. And experience is what IHOP is all about. The Bible takes a back seat to the exciting and ever-changing "prophetic words" that keep IHOP followers coming back for more, but ultimately leaves them confused, hurt and, many times, angry. Of course, like any gigantic organization there are a wide variety of opinions about IHOP and there are many Christians involved that sincerely believe they are serving God. Instead of focusing on individual opinions & experiences, the links below are largely addressing the flawed teaching that comes from Mike Bickle and IHOP; this is not intended as a personal attack on the many people involved. The following articles are written by a number of Christians from many different denominational and theological backgrounds. These various writers don't agree on every aspect of Christian doctrine, but they do all agree that Mike Bickle and IHOP's false teachings should not be ignored. Kansas City Prophets Exposed-Ernie Gruen's Report "Aberrant Practices"
Watch Mike Bickle Refute Mike Bickle! Here is some Shocking Stuff You're Not Supposed to Know! The Word of Faith movement is the predecessor to the New Apostolic Reformation and the two movements share a lot of overlapping beliefs. The Word of Faith (WOF) movement developed in the 1940's & 50's under the teachings of E.W. Kenyon, Kenneth Hagin (who plagiarized Kenyon), Oral Roberts, A.A. Allen, T.L. Osborn, William Branham and others. Like the NAR, the WOF never had an official leader or official statement of beliefs, so it is difficult to determine exactly when it started or exactly what it taught. And like today's New Apostolic Reformation it has been a "moving target" that could morph and rearrange itself in order to avoid critical analysis. The WOF emphasis on guaranteed physical healing & prosperity and the "power of our words/positive confession" teachings are largely being continued by many NAR teachers. Perhaps the most prominent WOF teacher still active today is Kenneth Copeland, who learned directly from Oral Roberts and studied at (the then newly formed) Oral Roberts University in the 1960's. It could also be argued that Joel Osteen is the most prominent WOF teacher active today, since the core of most of his teaching is WOF doctrine. Joyce Meyer is another extremely popular WOF teacher (See article: Is Joyce Meyer Word of Faith? ), as well as Benny Hinn. Here's a brief video showing Bill Johnson, Kenneth Hagin, Kenneth Copeland and Todd White all teaching the WOF idea that Jesus needed to be "born again:"
False teachers are always dressing up their bad doctrine with new catch-phrases and new "direct revelations from God," but the resulting beliefs end up directing our attention away from the finished work of Christ and focusing on ourselves and the teachings of men. Physical Healing and the Atonement-Is it Always God's Will to Heal Now? Andy Stanley is one of America's top pastors; he is probably one of the top three most influential pastors in the U.S.A. today. Unlike many of the more blatantly heretical pastors that are critiqued on Pirate Christian Media, Stanley has a very mainstream reputation and following. Most Evangelical Christians can't even imagine that he might be leading them astray because much of what he says sounds pretty good; it sounds pretty "normal." He is seen as a pastor who is simply taking traditional, Biblical Christianity into the future by re-packaging it and re-interpreting it for non-Christians. Because Stanley works hard to appeal to a postmodern audience, much of what he says can be interpreted multiple ways, so there is much disagreement about his teaching and what he "actually means." This kind of confusion is not good. On one hand, he says that "it's next to impossible to defend the entire Bible," and says that "the Bible is not the foundation of our faith;" but he later tells his audience how he loves the Bible and reads it every day. The North Point website states "We believe the Bible is without error." He claims that pastors should "take the focus off the Bible on put it on the resurrection," but we know about the resurrection because it's written about in the Bible. Stanley seems incapable of simply saying that the Bible is God's Word and it's historically dependable. What is Andy Stanley very clear about? He seems to have tremendous confidence in his own ability to convince everyone of whatever he currently believes is important. He appears to have much more confidence in himself than the Word of God. Judging by the infrequent use of Scripture in his sermons and his willingness to erode confidence in the Bible, it really seems like Andy Stanley is happy to be the focal point of his church. Although he claims to be directing attention to Jesus, it's impossible to know which Jesus he's talking about, because without the objective Word of God as the reference, he ends up making himself the authority over who Jesus really is and what Jesus really taught. If the following articles, podcasts and videos are any indication, a substantial case can be made that Andy Stanley is doing more than just explaining the "faith once handing down to the saints" to a new generation. There is troubling evidence that Stanley is trying to change the meaning, definition and purpose of the Church itself. Here's a YouTube video from James White, who does an extended review of Any Stanley's recent "Who Needs God" series (more Andy Stanley reviews are on his "Alpha & Omega Ministries" channel). For those who think it's mean, judgmental and un-loving to criticize Andy Stanley/North Point Church (or any other popular teacher/church) here's something just for you: Shocking Stuff You're Not Supposed to Know. If you're having a knee-jerk reaction to try and defend this man's ideas, check out: Confirmation Bias: Why You Are Protecting Your False Beliefs. Steven Furtick is a rock star among pop Evangelical megachurch pastors. The church he founded in 2006, "Elevation Church," is one of the largest and fastest growing churches in the USA. Although he actually has a Masters of Divinity from Southern Baptist Theological Seminary, he preaches a "Word of Faith" type of Christianity and considers T.D. Jakes (a Trinity-denying modalist) as his role model. Furtick does not have an in-church board of elders that can hold him accountable, instead he has a corporate board comprised of other mega-church pastors; as a result he makes an undisclosed salary and lives in a 16,000 square foot mansion. He also gets extremely lucrative speaking engagements from his fellow megachurch pastors, and he speaks at many of the largest "Christian" conferences around the world. Steven Furtick's sermons are full of Christian words and imagery, but he ultimately preaches a narcissistic gospel devoid of much Biblical truth; instead he uses manipulative speeches that "work the crowd" with spectacular success. Sadly, the Southern Baptist Convention has done little to hold Furtick and his church to the Biblical orthodoxy they are typically known for. For those who think it's mean, judgmental and un-loving to criticize Steven Furtick (or any other church leader) here's something just for you: Shocking Stuff You're Not Supposed to Know. If you're having a knee-jerk reaction to try and defend Steven Furtick, check out: Confirmation Bias: Why You Are Protecting Your False Beliefs. Brian Houston and his gigantic Hillsong enterprise need to be critically examined in light of Scripture, just like any pastor and any church-but especially because his influence is felt in thousands of churches world-wide. Millions and millions of people are being affected by what he says and does. Being rich and famous does not make someone immune from scrutiny. The following is a list of articles from Christians coming from different denominational and theological backgrounds, who all agree that Brian Houston and the Hillsong global conglomerate are not to be trusted as a Biblically sound church. For even more information, visit our Australian friends over at Church Watch Central; they have done a tremendous amount of research on Houston, Hillsong and other related pastors/ministries. Brian Houston on the "Naked Cowboy" Event: "I'm Clueless About It-But It's No Big Deal Anyway"
For those who think it's mean, judgmental and un-loving to criticize Brian Houston (or any other popular teacher) here's something just for you: Shocking Stuff You're Not Supposed to Know. The "New Apostolic Reformation" is a loosely knit association of churches and ministries with no absolute statement of beliefs or specifically defined doctrine. In this regard, it is true that the NAR is not a global conspiracy that is secretly holding meetings and making plans to dominate the world. On the other hand, there are millions and millions of people around the world who are unaware that their church or favorite ministry has all or most of the characteristics of the NAR. There's a good chance that a person holding to all, or most, of the NAR beliefs doesn't know that they've subscribed to those beliefs because they think it's just "ordinary Christianity." Wagner presided over the commissioning ceremony of fraudulent preacher, Todd Bentley, at the "Lakeland Revival" in 2008. This is the day that the New Apostolic Reformation was at its most glorious and self-congratulatory peak. This day turned out to be The Charismatic Day of Infamy, and all of its "Super Apostles" were proven to be incompetent, unqualified and full of hot air. This loosely knit association of churches and ministries has much in common with the Latter Rain movement and the Word of Faith movement. Supernatural Signs & Wonders; Dominionism; Joel's Army; The 7 Mountain Mandate; Third Wave Revivalism; Mike Bickle's IHOP; Bill Johnson's Bethel Church, The Hillsong Media Empire, Rick Joyner's MorningStar Ministries, Todd White's Lifestyle Christianity, Che Ahn's Harvest International Ministries, Randy Clark's Global Awakening, Lou Engle's The Call, John & Carol Arnott's Catch the Fire/Toronto Blessing,... these ministries share much of the same theology and so they all a part of this shape-shifting movement in one way or another. It is gobbling up churches and deceiving millions around the world. We've entered a "2nd Apostolic Age" that is marked by increasing Signs & Wonders. In order for the Church to accomplish its mission, we need to be under "Apostolic Alignment," which means that God will fully function once the new instructions from these new apostles and prophets are obeyed. Christians should somehow take over the world in a way that's never happened before; the "7 Mountain Mandate" is the means for this to happen. Christians now have a great "Destiny" to achieve as royalty on the earth. We are to "Bring heaven to earth." Jesus is the example for us to duplicate-in fact, we should literally be doing "greater works than Him." This means we should all expect to raise the dead and heal anyone we want to at anytime. There are no leaders in the NAR who are actually doing these things, but they make great claims of having extraordinary power and ability. And if you buy their books/DVDs/conference tickets they promise to give you the "secret formula." This is the Theology of Glory, as opposed to the Theology of the Cross. A great end time harvest/outpouring will occur once we battle enough demons, perform enough miracles and unify under these new Apostles, (who tend to yell a lot). There is supposed to be a "billion soul harvest" according to many in the NAR, although the Bible only speaks of an end time falling away defined by great signs and wonders. Although God is giving new revelation to his Prophets/Apostles they will make many mistakes in the process and that's okay, but following the Bible too closely makes you a "religious" and narrow-minded Pharisee. In the NAR, using your mind is generally bad but having a mystical and subjective experience is very good. In this new movement, we are to give people an Encounter with God, because the simple Gospel message is not enough. People need to see the power of God with their very eyes in order to believe (this is why we should be supernatural acts for people all the time). They do not need to understand the nature of their sin and their need for a Savior, however, as much as they need to know their identity as "sons and daughters of the King." So, fundamentally, conversion is a matter of finally understanding how special and lovable we are, not understanding how our sin deserves the wrath of God which Jesus took upon Himself on the cross. Here are some shocking things that NAR leaders don't want you to know. And here is an article that will help you see past all the layers of deception in the church. The NAR "Super Apostles" don't want you to know about their involvement in the Charismatic Day of Infamy. 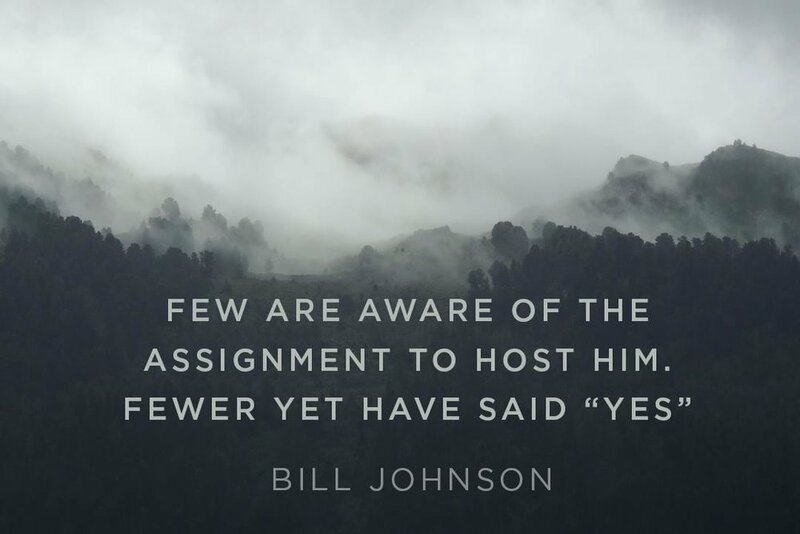 Bill Johnson has a warm and likable personality, and he comes across as a knowledgeable and godly man; but beneath his charming personality is a specific theological viewpoint that must be evaluated (just like any pastor). Although he uses Biblical words and phrases, Johnson preaches a Word of Faith version of Christianity that has no legitimate connection to Bible-based Christianity. He spends the vast majority of his time talking about his own ideas, visions and "downloads" from God, and very little time even quoting from God's (actual) Word. He is proud of his friendship with prosperity preacher and obvious fraud, Benny Hinn, whom he had as an honored guest speaker at his church in 2017. He was declared a top leader ("Apostle") by C. Peter Wagner in the New Apostolic Reformation, but he claims to be unaware of the very movement he's a prominent leader of. Bill Johnson does NOT want you to know about The Charismatic Day of Infamy. Bill Johnson and his co-pastor, Kris Vallotton have become extremely influential to millions of people around the world, but many Christians have simply assumed that these men must be trustworthy since they are so "popular" (rich and famous). The Bible has a lot to say about the importance of good doctrine and the necessity of confronting false teachers. Did this article really get you upset? Do have an urge to retreat back into your comfortable (and wrong) beliefs about Bill Johnson & Company? PLEASE read the following articles! Confirmation Bias: Why You Are Protecting Your False Beliefs. Bill Johnson, Kris Vallotton, Benny Hinn and thousands of prosperity-preaching, false teachers around the world hope you never read this: Shocking Stuff You're Not Supposed to Know! Mathew 12: 38-41 "Then some of the Pharisees and teachers of the law said to him, “Teacher, we want to see a sign from you.” He answered, “A wicked and adulterous generation asks for a sign! But none will be given it except the sign of the prophet Jonah. For as Jonah was three days and three nights in the belly of a huge fish, so the Son of Man will be three days and three nights in the heart of the earth. The men of Nineveh will stand up at the judgment with this generation and condemn it; for they repented at the preaching of Jonah, and now something greater than Jonah is here." Rick Joyner's Demonic Voodoo "Church"
Rick Joyner is a major leader of the New Apostolic Reformation.